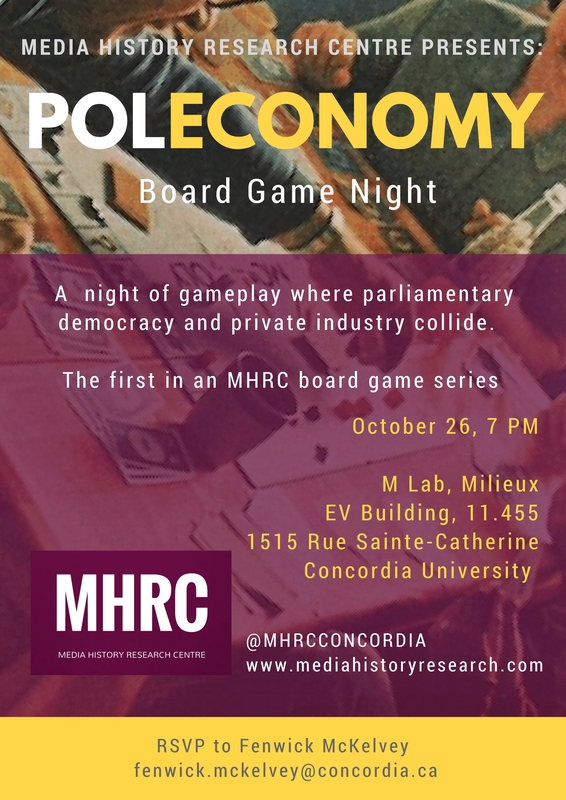 Poleconomy night is the first in an upcoming game night series hosted by the MHRC. Play through a game that reflects the way government, finance and industry collide when private enterprise operates under parliamentary democracy. Tycoons and politicians face face inflation, taxation and commercial disaster in a bid for political and financial power. Renowned in Canada for helping the Fraser institute survive a deep recession, Poleconomy is a wacky and stylized gamification of the ways in which our economy and government interact. 1515 rue St. Catherine W.